We've received word from Volkswagen India that CKD kit shipments of the Chakan-made VW Polo started earlier this year to DRB-Hicom's Pekan assembly plant in Malaysia. The Polo would be the third CKD Volkswagen model in Malaysia following the Vento and the Passat. Currently VW Malaysia sells the European spec Polo (CBU) which has different lights, bumpers and grille. Malaysia current sells one powertrain variant of the Polo (in European spec) which is the 1.2L TSI engine with a 7-speed DSG. Assembly of the India-made Polo began in Pekan in September, but Volkswagen Malaysia is yet to formally introduce the car. In an email, Volkswagen India's communications manager said the first shipments were made in mid-July. For Malaysia, the Polo is currently offered with a single powertrain, the 1.2L TSI petrol matched to a 7-speed DSG transmission. The powertrain specifications for the Indian Polo in Malaysia are unavailable as Volkswagen India only sends out components that are localized here (70% of the car). The powertrain (that constitutes the remaining 30%) which is assembled on the car comes from one of VW's European factories. Image of the VW Polo sold in Malaysia, for reference. 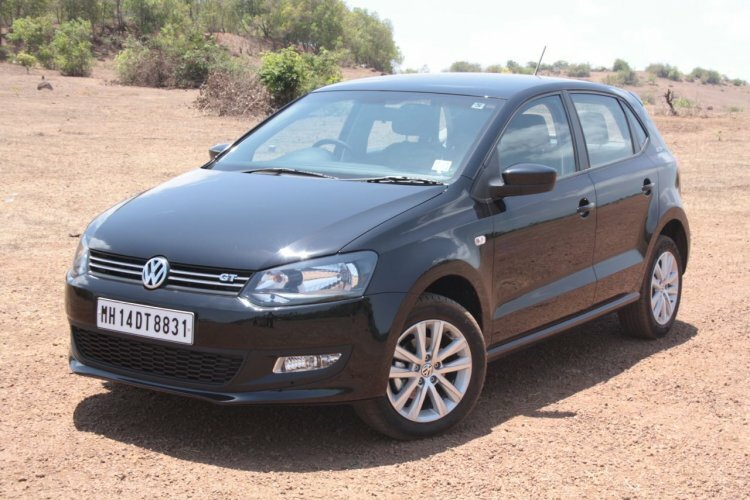 Compared to the European Polo, the Indian Polo has low-spec alloys, rear drum brakes, simple taillights (instead of the L-Shaped design on the European spec), rear bumper with a cut-out on one side and a 'Volkswagen' badge on the bootlid. The car is also fitted with a single-zone auto climate control and a lower-spec RCD 320 stereo which has USB, iPod and Bluetooth functions. Volkswagen Malaysia could either phase out the European Polo or run the Indian Polo to form the lower variants. We should get more clarity on this in the coming days.